Blue Gate Farm's Ella Wilson presented Patty VanHousen and Rinka with the top prize in the 3'6" Blue Gate Jumper Derby. 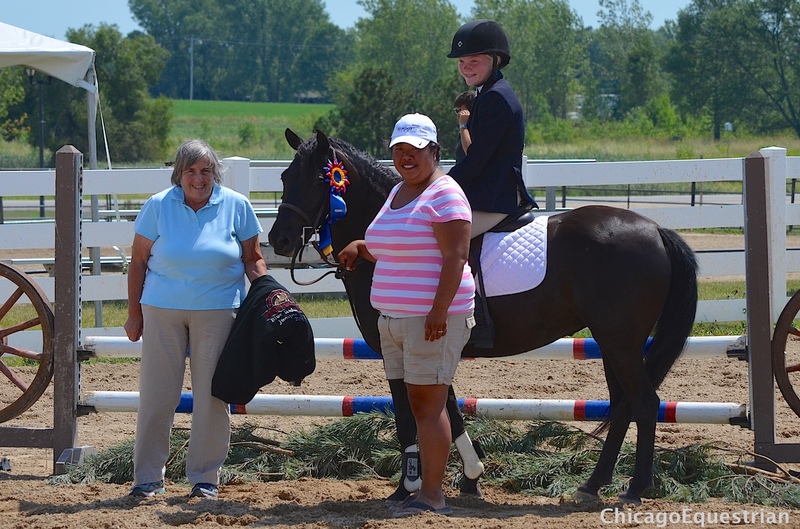 West Bend, WI – August 16, 2015 – Old Seoul Equestrian hosted another great day of derby riding during the Wisconsin Equine Derby Weekend at the Washington County Fairgrounds in West Bend, WI. The show started with a fantastic brunch under the tent by Kevin's Catering sponsored by GastroGuard/UlcerGuard with a Bloody Mary and Mimosa bar sponsored by Foremost Stables of Dousman, WI. Jumper riders had their turn on the park-themed course to battle the clock for the fastest clear round to win the top prize. The feature event for the day was the Blue Gate Farm 3’6” Jumper Derby. Options on the course gave riders a chance to strategize to produce quick turns to win the class. The best of the field was Patty VanHousen and her Rinka, a Roc USA baby. It was a walk in the park for Rinka, putting in the fastest time for the derby win. For VanHousen, it was a great birthday present as she celebrated her birthday with cake and a not so great musical rendition of Happy Birthday from her horsey friends. VanHousen was also the winner of the Four Bar Challenge on Friday, finishing at 4'6". "I've had a lot of special horses in my life," said VanHousen, "but this one is truly a special one. She's just amazing." VanHousen and her Roc of Ages won the same derby last year. 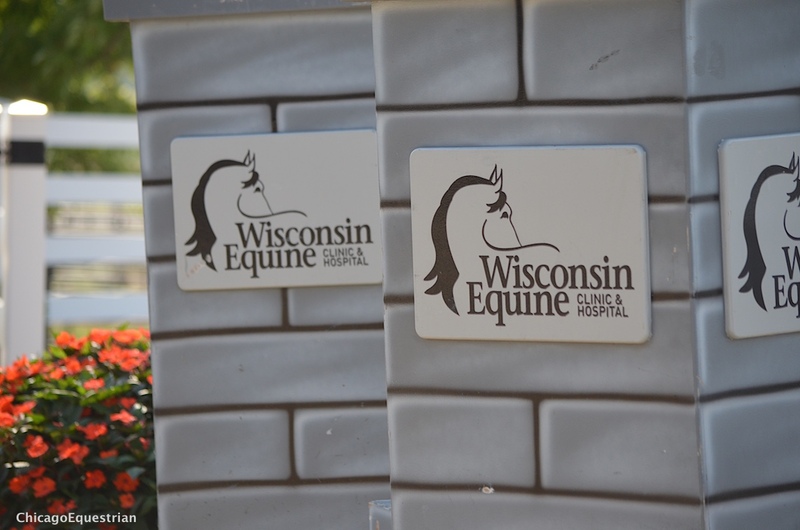 The family has Split Rail Stables in Mequon, WI, which is their private farm. The VanHousen's are great supporters and sponsors of the derby weekend and have been since it’s inception. 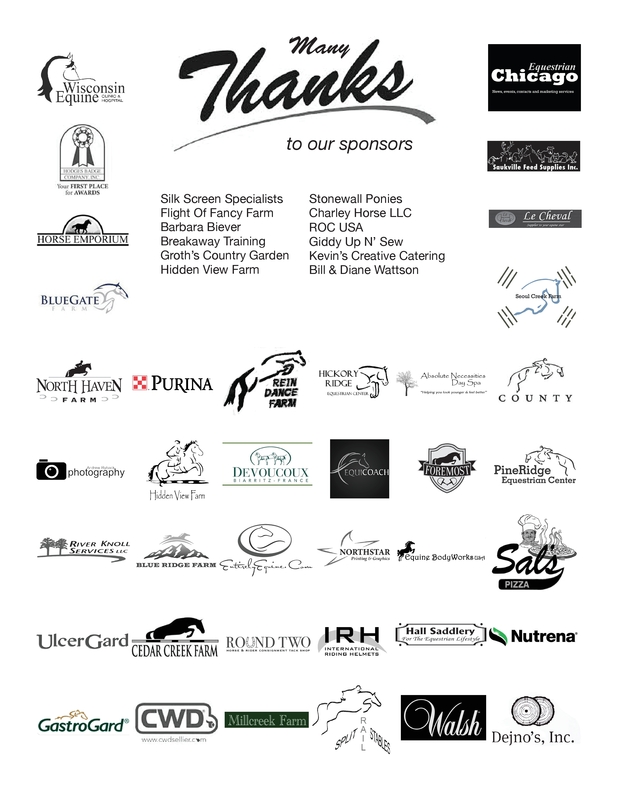 They bring horses to compete and are sponsors in addition to being advocates for the event. "We're always the first ones to put up our sponsor money for the next year," added VanHousen. "We have a great time." Trisha Ames and Dirty Little Secrets pose with Split Rail Stable sponsor Patty VanHousen after their win in the Split Rail Stables Jumper Derby. Winners of the 3’ Split Rail Stables Jumper Derby were Trisha Ames and Dirty Little Secrets. The pair put in the a speedy round to claim the blue ribbon. Ames lives in Louisville, KY and made the trip to attend. "My family is originally from Wisconsin," said Ames. "Last year I came across the Wisconsin Equine Derby Weekend when I was in the search to find some new shows to attend for 2015. I really wanted to attend the show last year but I wasn't able to get away from work long enough to do so. So this year, I made it a goal to come up and attend, and I loved every minute of it! I will definitely be returning." Ima Stellebrity with Julia Orgochock won the North Haven Farm 2'6" Jumper Derby. The 2’6” North Haven Farm Jumper Derby had Ima Stellebrity with Julia Orgochock in the irons at the top of the pack. The pair ended up the fastest clean round out of the biggest field of the day. Hollywood Diva, Sarah Ayer and trainer Courtney Hayden-Fromm receive their award from Sandy Yanke for their Blue Ridge Farm Jumper Derby win. The last event for the day was the 2’3” Blue Ridge Farm Jumper Derby, with the smallest mount being the fastest. The win went to Hollywood Diva and pilot Sarah Ayer. The pair galloped the track hopping the jumps with a speedy time of 52.222 for the top prize. 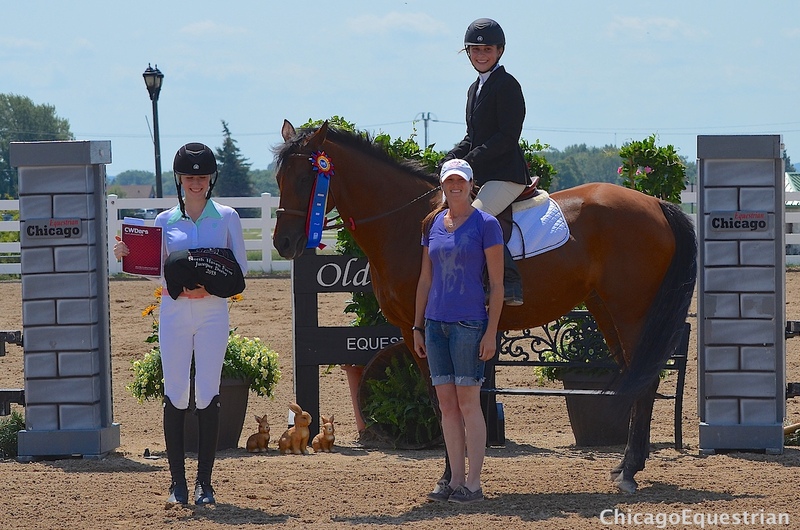 The tiny but mighty pair set the fastest time of the day, winning the special award for the Fastest Jumper Time sponsored by Hickory Ridge Equestrian, Lake Mills, WI. The Equestrian Supporter Award sponsored by Equestrianista, was awarded to Carrie Obrecht. 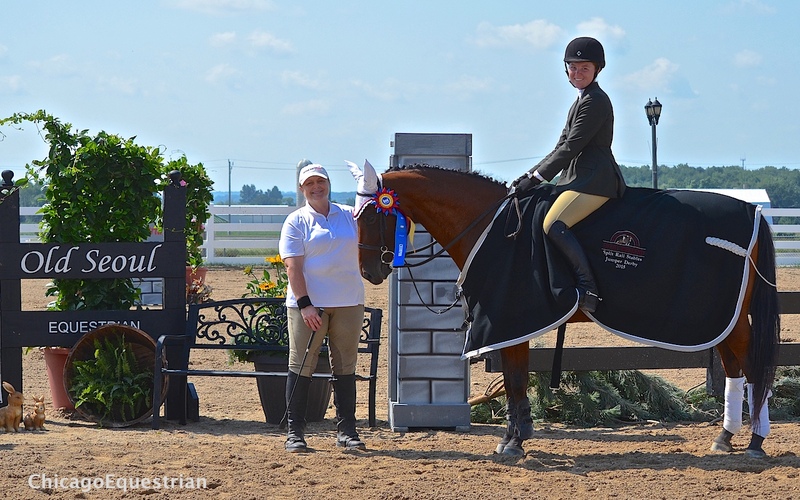 She rides with trainer Kelly Wampler in West Bend, WI, and won the 2'6" Hunter Derby on Saturday. Obrecht was nominated by her entire barn family and friends for her inspiration and support. Trainer's awards sponsored by Horse Emporium, and Absolute Necessities Day Spa went to Charles Zwicky, Stacey Oppermann, Mary Skarsten and Kelly Wampler. Barb VanHousen won the Charley Horse Massage Therapy raffle and Sarah Ayer and Darin Wagner won IRH riding helmets. 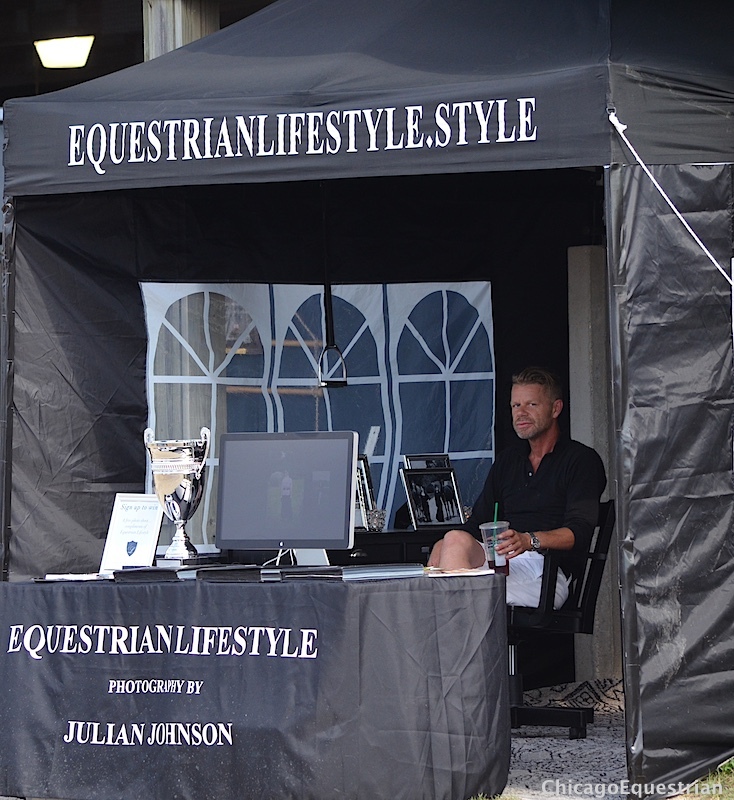 Equestrian Lifestyle raffled off three photo shoots which include hair, makeup, the photography and retouching. The lucky winners were Cindy Husar Marschke, Tricia Kasten and Kira Boerst. Hayden-Fromm wrapped up the weekend by concluding, "Another great Derby Weekend is in the books. I can't thank everyone enough for their contributions and support. Maggie (Jayne) and Haylie (Jayne-Rolfe) were fantastic. This event makes my heart feel good and it's also the most fun week of our summer. I hope we are still doing it in 20 years." The weekend event includes a clinic day with top professionals in the industry, Shop the Sheep Barn filled with equine related shopping along with fun events and hospitality for the entire family. Great sponsors provide abundant top of the line awards for exhibitors and the show provides the ultimate competition experience with quality jumps, courses and judging. For sponsor information, contact Courtney Hayden-Fromm at cshayden@yahoo.com.